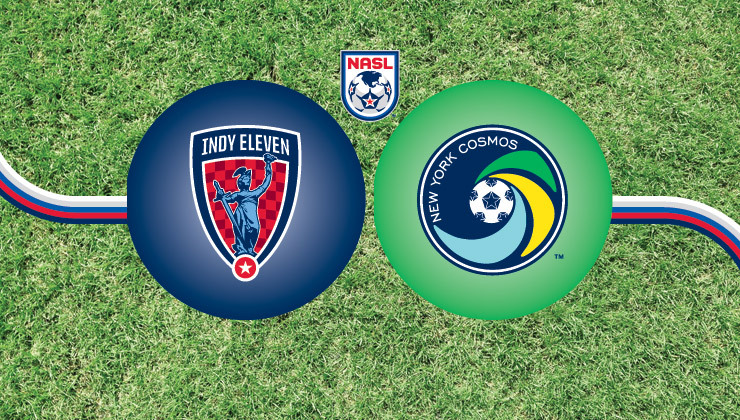 The New York Cosmos visit Indy Eleven as the club looks to get back into form. A slow start to the Fall Season has the Cosmos, the Spring Season winners, currently at the bottom of the Fall Season Standings. Both Indy and New York are coming off losses. New York Cosmos: The Cardiac Cosmos couldn't pull out a result in Jacksonville last weekend, dropping their first NASL match of the season, 1-0, to Armada FC on the road. This weekend in Indianapolis presents an opportunity to bounce back. A draw and a loss in the fall have the Cosmos last in the Fall Season Standings, but that position is misleading. New York has played at least one game less (in some cases two) than every other team in the league. The Cosmos are in a three-way tie with Carolina and Ottawa for second in the Combined Standings, but hold the tiebreaker with a +8 goal differential. A win against Indy on Saturday would buoy New York heading into a difficult stretch of three games in one week, which begins against Fort Lauderdale at home on August 2. Indy Eleven: It's been a mixed bag of a Fall Season for Indy through three games: a draw, a win and a loss. The Eleven ended their Spring Season with impressive back-to-back wins over the Strikers (2-1) and Eddies (3-0). During the break they held Liga MX club Monarcas Morelia to a scoreless draw in a friendly. But they're coming off a road loss to Ottawa Fury FC in which they let in four goals, the highest total they've allowed this year across all competitions. Right now Indy sits at a pivot point. Approaching the true midpoint of the season the team sits in the middle of the standings. The Eleven have an equal amount of wins and losses and an even goal differential. Getting a win at home on Saturday could propel them to a top five position in both the Fall and Combined Season Standings. Since Indy Eleven joined the league for the 2014 NASL Spring Season, these two teams have squared off five times. All five games were deadlocked at the final whistle by scores of 0-0, 1-1, or 2-2. One of the two squads competing Saturday night at “The Mike” can take control of the all-time series, which remains locked at five points apiece. Road Trip Continues: The Cosmos opened their Fall Season at home on July 5, but will not host another match until August 2. The boys in green suffered their first defeat of the season visiting Jacksonville Armada FC on July 18. This July 25 fixture against Indy Eleven in Indianapolis will be the Cosmos’ second straight road contest. 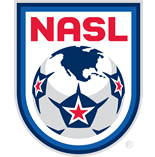 They are 1W-4D-1L away from Shuart Stadium in NASL play this year. Familiar Foe: By game day just 20 days will have passed since Indy and New York last met, in a matchup to open the Fall Season on July 5. In the 26th minute, Indy forward Wojciech Wojcik got his foot on a ball deflected high in the Cosmo’ box to open the scoring for the visitors. But Cosmos winger Walter Restrepo drew the match level in the 78th minute by speeding into a through ball sent to the right edge of the box by Sebastián Guenzatti. The game ended in a 1-1 draw. Busy Week Ahead: After this fixture, the Cosmos can look ahead to three matches in the span of a week. On August 2, New York returns home to face the Fort Lauderdale Strikers. Then the club will play host to Minnesota United for some Wednesday night soccer on August 5. The week finishes with a sort of return leg – the Cosmos will travel to Lockhart Stadium in Fort Lauderdale for their second match against the Strikers in seven days.